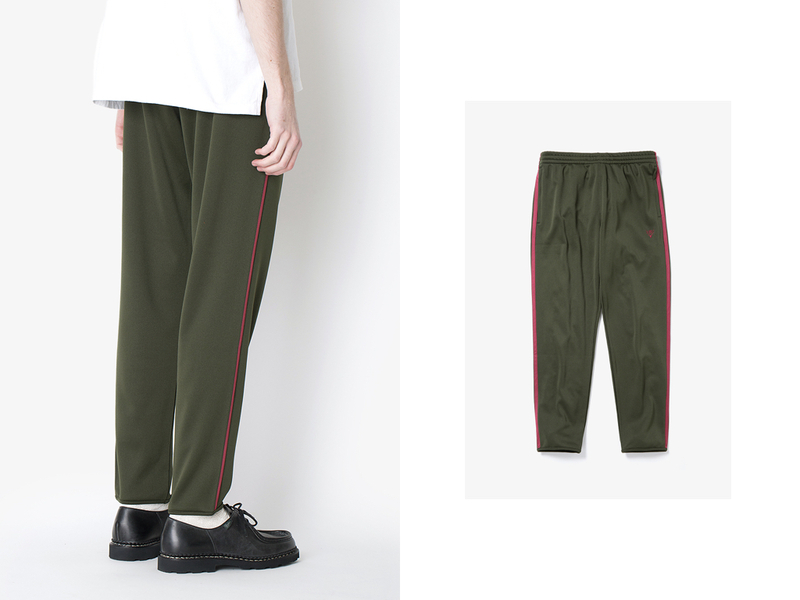 Will South2 West8 steal the desirably-obscure-trackpants crown from Nepenthes stablemate Needles? On this site at least, they already have. While the chances of seeing someone in Needles trackpants is (non-scientifically speaking) 1 in 50k, it’s got to be around 1 in 500k to spy anyone in these. 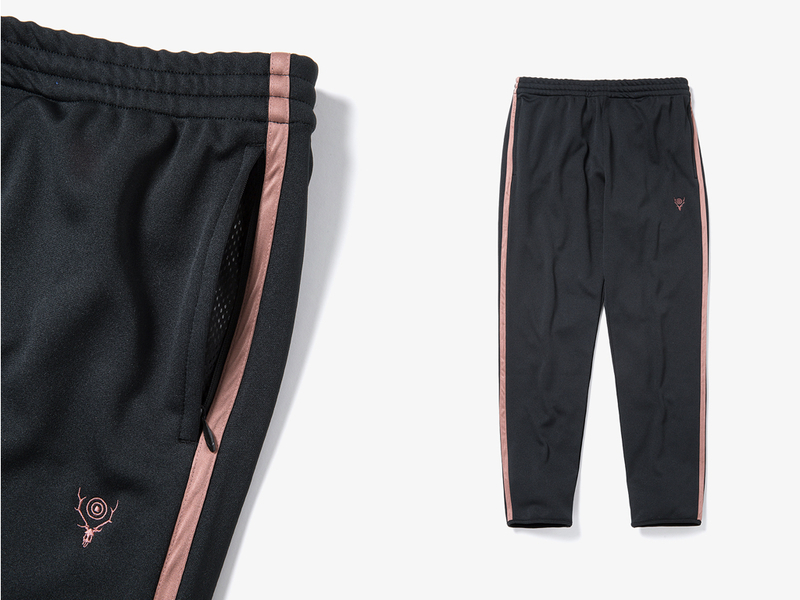 To the untrained eye, they are relatively uninspiring tracksuit trousers, a stripe down the side and a little logo on the thigh. To the Nepenthes fanboy they represent Jesus Christ and all his bearded subordinates. These are the must-have you almost certainly won’t have. 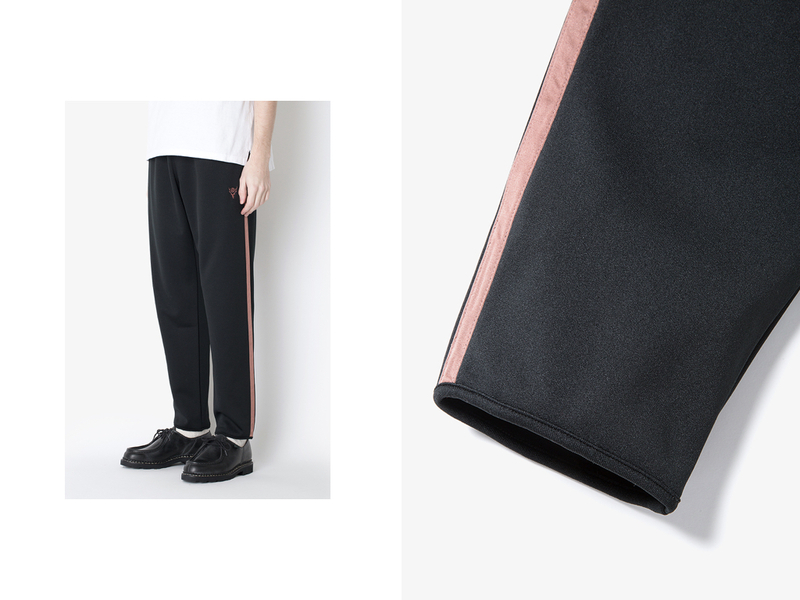 Polyester, slim cut and with what looks like a little pocket directly over the bum-seam, these are tracksuit trousers alright. Tracksuit trousers which if XE Currency Converter isn’t deceiving me come in at a reasonable £104. They’re on sale in blue or green at Japanese e-retailer Coverchord. The site promises UK delivery and English language facilities, however dig into the purchase funnel and you’ll be be presented by the usual indecipherable pages of Japanese squiggle-writing. Damn other nationalities and their own languages. A proxy service like J-goods is your best bet. The whole buying them part is a pain. But just think how superior you’ll feel walking about in a pair of reasonably ordinary looking tracksuit trousers with a logo on them that very few people will recognise, or indeed care much about. That’s living my friend.